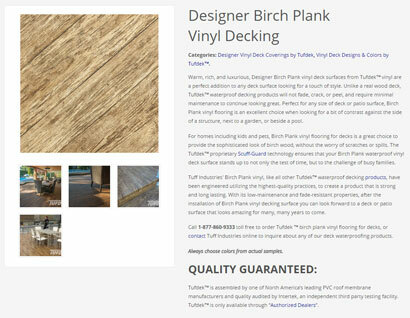 We recently completed a new website for a manufacturer of vinyl decking in the Okanagan Valley. The site required several different sections to accommodate the different users. A new product section was added, a dealers section with secure information and a featured gallery with examples of beautiful deck that shows the quality of the vinyl decks. Building out a website design and incorporating a WordPress CMS or other content management system is largely based on the sitemap and user experience needed for the visitors. If we understand the type of information to be presented and the best way to deliver that, we can create pages that are meaningful and lasting. The content and UX (User Experience) defines the website features and functionality we require. For example an accordion feature for an FAQ page, tabbed pages for a product section, tiled images for a category section and so forth. 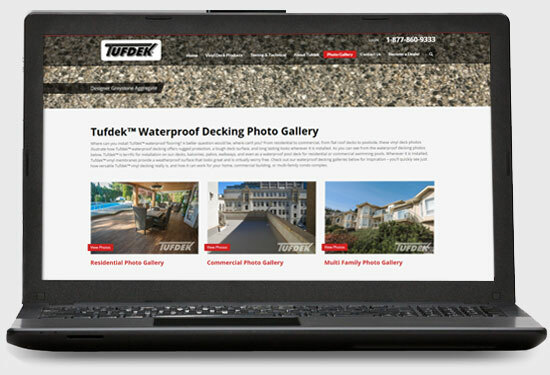 In Tufdek’s case a focus on showing the results of waterproof decking and how beautiful those vinyl decks can be, was one of the site requirements that resulted in a gallery system with multiple albums. Another dealer requirement resulted in modifying a shopping cart WordPress plugin to create an effective online catalogue for products. These professional website design features go beyond what many design shops can manage as they require more complex development work to create the right outcome for the client. 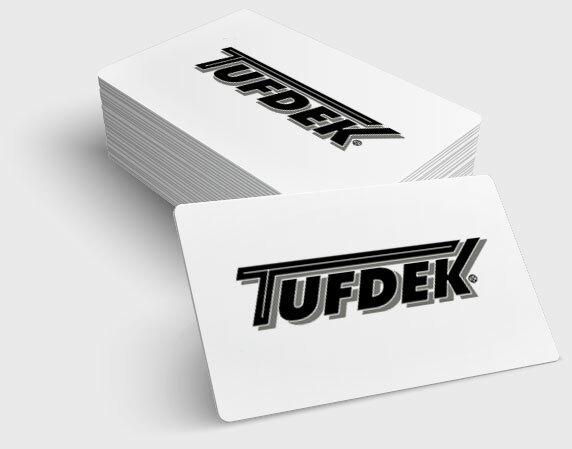 Taking a close look at the market, competition and the existing brand helps to define and understand the online environment for Tufdek. This set a benchmark for the design and content needs. If you are looking to attract business online as well as inform customers you need to understand what is being searched and how your competition is responding. From this perspective you can then review your products and services and determine the best methods to present information to the public. At this level of development there is often a custom application that is required to provide a unique feature to one of the users. In this case there are three specific onsite tools that provide a deck calculator for dealers, an installation condition chart and a dealer location map tool to find someone with experience in installing vinyl decking in a specific region. These special features are what ads complexity to a custom website design, the benefit is usually a direct management payoff for the client. In this case providing estimates for jobs online and providing referrals directly to dealers from online customers. This saves Tufdek administrative time and lets them focus on service to dealers and other support tasks. To take a closer look at the new Tufdek website please visit this professional website design by Spincaster. We think you will find the navigation through the site very easy and appreciate the attention to detail that went into this solution, right down to the bobble heads!